The conference was organised by Research Institutes of Sweden and the Technical University of Denmark. The 3 days conference succeeded a one-day tutorials attended by nearly 40 participants, mostly PhD students. We learned on the implementation of pedestrian and evacuation movement into BIM (thanks to Pete Thompson and Dan Swenson) and we discussed designing and carrying out experiments (thanks to Aoife Hunt) on the topic: the effect of heterogeneity on evacuation and pedestrian movement. Thanks to CERTEC and Per Olof Hedvall for providing wheelchairs, canes, glasses, simulating different visual impairments. 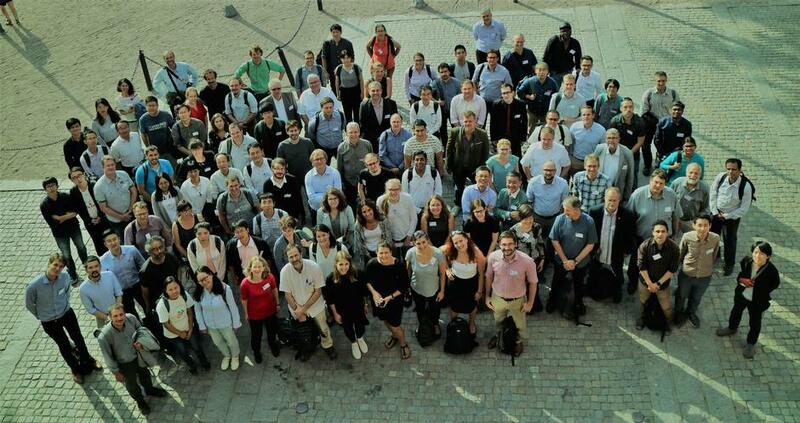 At PED2018 the 133 participants had the opportunity to listened to 66 very interesting presentations ranging from data collection and evacuation experiments, to modelling and simulations on evacuation and pedestrian movement. Topics like evacuation of religious sites, such as the Hajj were taken up in the presentations and poster session, as well as analysis on evacuation before the tsunami were investigated. Flow-studies and the use of neural networks, machine learning for predictions were presented. It was great to see that the populations heterogeneity is increasingly acknowledged in the research in the field. We were pleased to experience Dr. Naohiro Takeichi presented his magnificent VR tool, simulating evacuation scenarios involving fires, floods and others. About 60 % of the presentations were on data collection and about 33% on evacuation. Thank you to the PED community for enriching the past days with knowledge and their newest findings in the frame of Lund and the AF borgen. Now, we from RISE in Lund hand over the PED-baton to Majid Sarvi and the department of transportation at Melbourne University, Australia for the next conference planned in 2020.